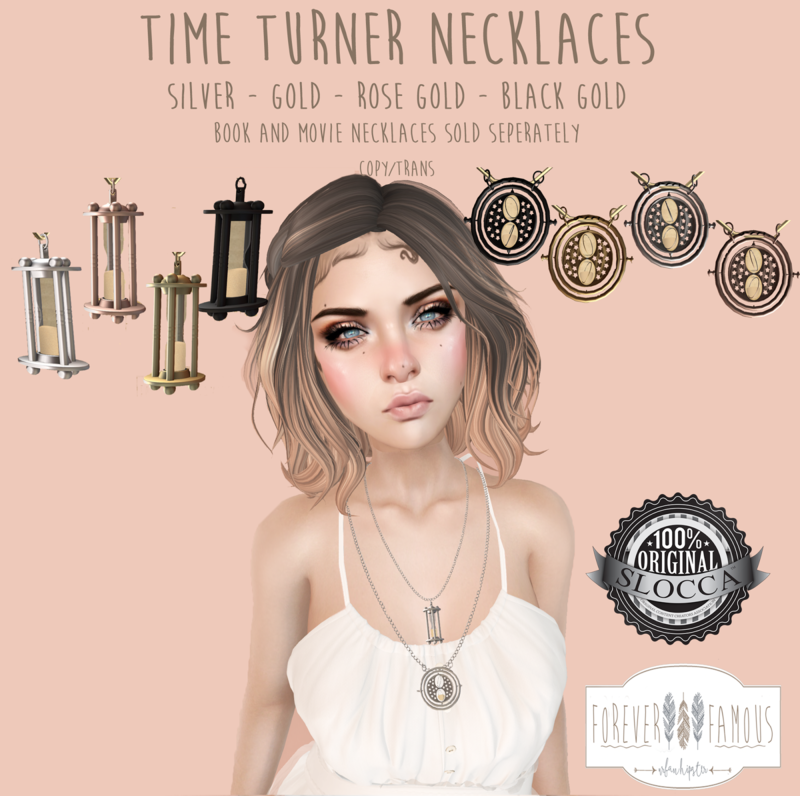 Coming Soon to Wizarding Faire: Time Turner, Elder Necklaces and Quill Gacha. The Time Turners come in both Movie and Book versions, in 4 metal choices ( each sold separately). 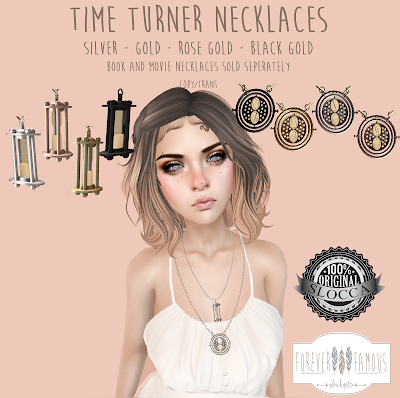 The Elder Necklace is sold in each House color. 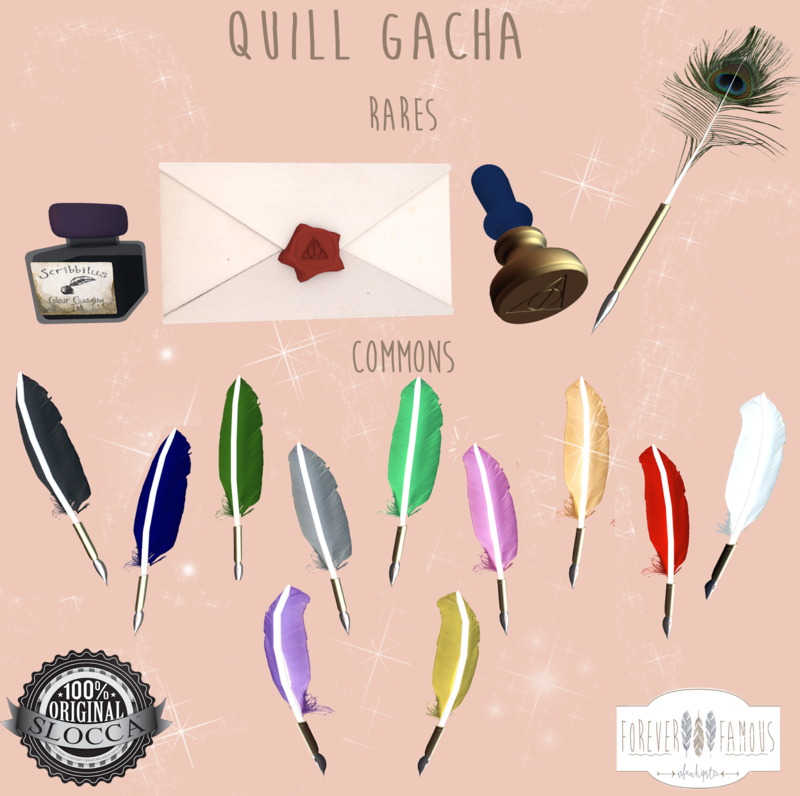 The Quill Gacha Features 11 Common quills, and Rare letter writing kit (Deathly Hallows Wax Seal, Deathly Hallows Sealed Letter, Fancy Quill, & Scribbilus Ink Bottle). More information and Landmark closer to the Event!